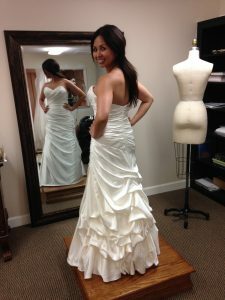 When a local bridal boutique called me, I knew they had a bride who wanted something special. I spoke with them for a few minutes, and then asked to speak with the bride. She sent me picture of her in the dress while she was at the boutique to give me a visual aide while we discussed her concerns and her options. Ultimately, she wanted to redesign the front and back of the top of her dress. She did not like how it wrapped and wanted the center-draped piece removed entirely. These alterations would require separating the skirt from the top and rebuilding the front and back of the top, then reassembling it to the skirt. Additionally, we would need to order fabric from the manufacturer so I could re-pleat the front pieces to fabricate the dress she envisioned, which would mean discarding the original top’s fabric and design. 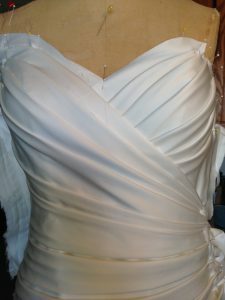 More often than not it is easier to construct a dress from scratch than it is to redesign an existing gown because it is significantly easier to cut and construct dress pieces all at the same time rather than fitting a new piece into an existing design (in this case fitting a new bodice onto an old skirt). 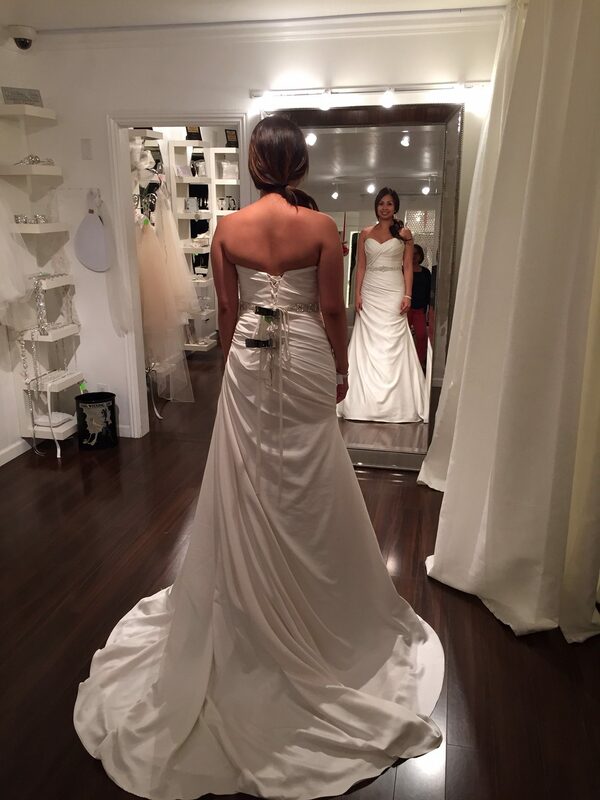 But understandably, most brides are more comfortable adapting or changing elements of an actual gown they can see and try on than the leap of faith required to have a gown designed for them. 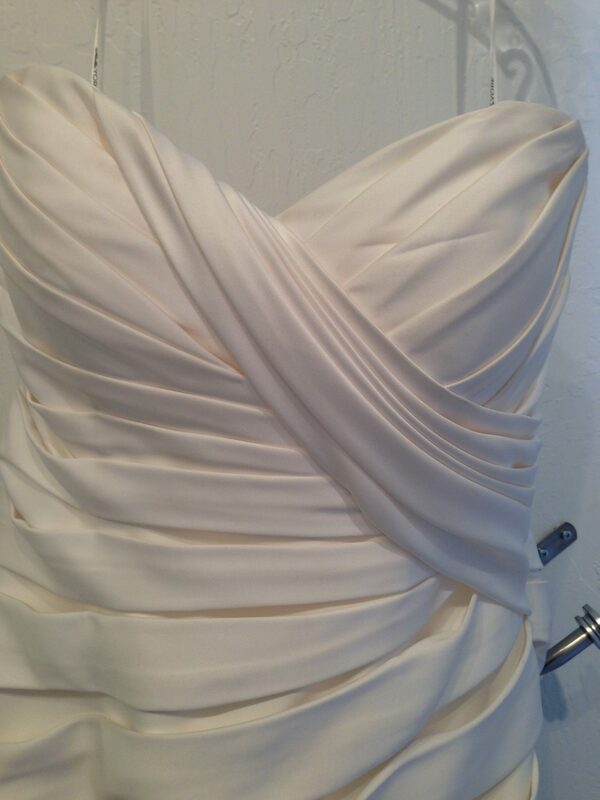 Still, if you are considering restyling a gown, there are limitations such as availability of fabric, the narrow margin for error when matching – for example – the existing skirt seams to the new bodice seams, and the numerous fittings required to perfect the fit.